When the Yankees traded away star relief pitcher Andrew Miller at last season’s trade deadline, they received a return of four strong prospects. The most talked about of that group has understandably been outfielder Clint Frazier seeing as he is knocking on the door of the big leagues and could potentially make a significant impact for the big club this season. In addition to Frasier the Yankees received left handed starter Justus Sheffield, right handed reliever J.P. Feyereisen and another right handed relief pitching prospect, Ben Heller. Heller is a name we should all be looking out for heading into this season because, simply put, he has absolutely electric stuff and could make an impact in the Yankees bullpen this season. Acquired in that deadline deal for Andrew Miller, Ben Heller is a 25-year-old standing at 6’3” and 205 pounds with a big arm. He has a hard fastball that sits in the high 90s and can touch 100 and also has some natural two seam action to it. He also throws a sharply breaking slider that sits in the low 80s and can be a nightmare for both right and left handed batters, diving down and in on lefties and disappearing down and away to righties. Heller was drafted by the Indians in the 22nd round of the 2013 MLB Draft and started his climb with their Low-A minor league affiliate in 2014. Heller rose all the way to the Triple-A Columbus Clippers in 2016 before being traded to the Yankees and joining the Triple-A Scranton/Wilkes-Barre RailRiders. In total, Heller posted a 1.69 ERA in 2016, appearing in 49 games for three different teams across the Double and Triple-A levels. He also averaged 10.3 strikeouts per nine innings. 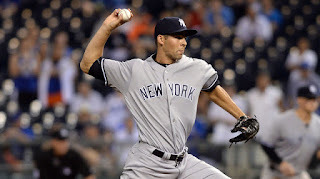 Heller did make an appearance in the majors toward the end of this past season and the results were mixed. He was able to show off his promising arsenal but did not yield the same results as he had in the minors, pitching to a 6.43 ERA in seven innings across 10 games. Although the results did not come right away at the big league level for Heller, his 2016 campaign was a successful one and has placed him among a growing group of young talent that is knocking on the door and could play a role for this year’s Yankee team. Heller enters this spring training with a legitimate shot to make the team out of camp. Not much is certain beyond Aroldis Chapman, Tyler Clippard, Dellin Betances, and Adam Warren so with an impressive camp Heller could certainly stake his claim to a roster spot. He got off to a very good start this past weekend, making his first appearance of the spring and striking out all three batters he faced. With more appearances like that he may give the team no choice but to reward him with that roster spot. If he doesn’t make the team out of camp, Heller will go to Triple-A and wait for his turn. As long as he continues to dominate hitters with his high octane arsenal we won’t have to wait very long to see him in the Bronx again.